12 Great Children’s Theaters Across the U.S. Performing for a live audience builds confidence, inspires creativity, and encourages teamwork no matter one’s age, but for some youngsters it can plant a seed that will grow into a lifelong passion. Whether a healthy hobby or the beginning of a wonderful career, children’s theater is alive and well. Here are some amazing companies that nurture young performers all over the country! This educational theater organization uses the performing arts to “fill the gap” in school curriculums, focusing on the seven C’s of learning: character building, collaboration, creativity, community service, current affairs, critical thinking, and citizenship. 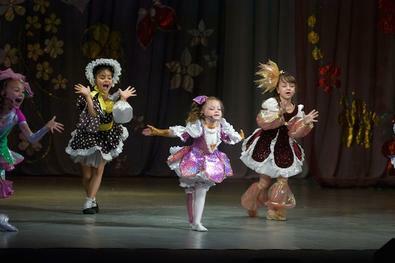 The company develops original, instructive musicals for kids and brings them to resident schools and after-school programs nationwide; CTC shows include titles like “Rescue Me: A Musical History of Women” and “Queen Kunka Bunka and the Rotten Royal Rascals.” With a flagship company in New York and over nine resident chapters all over the United States, Children’s Theatre Company “builds character onstage” for over 4,000 youngsters nationwide. Matilda Kunin founded the Young Performers Theatre in 1982 after the tragic death of her young son Anthony. The company honors Anthony and inspires thousands of Bay Area children each year by offering classes, performances, and the chance to get on stage. In addition to teaching theater arts to students as young as 3, YPT Repertory offers elementary to high school students the chance to perform in a professional-style environment. As part of YPT’s dedication to serving the community, the Children in Need program has donated over 20,000 main stage tickets to local charities, bringing live theater to severely underserved children throughout the Bay Area. As Florida’s oldest children’s theater, FLCT has been empowering kids and teens since 1952. Programs emphasize diversity, education, art, and life skills, and include year-long classes, youth and teen productions, an adult company, and professional productions for young audiences. FLCT’s community engagement includes “A Bridge from Me to You,” a theater-based educational program created to combat youth violence and cultivate respect and teamwork. Formerly the Children’s Theatre of Portland, this Maine staple is the oldest continuously running children’s theater in the U.S., and once had Bette Davis as a sponsor! The company was founded in 1923 to bring theater to young audiences, and began casting children in their productions 1936. Incorporated into the Children’s Museum in 2008, CTP currently produces a full season of plays and musicals performed by local kids and teens. This fantastic organization brings the power of performance to small communities all over the nation and abroad with its unique touring theater program. MCT’s international tour brings teaching artists into communities for week-long residencies, giving local children the opportunity to audition, rehearse, and perform full productions, all under the direction of professional actors. MCT’s transformative programming can be seen first-hand in the documentary “The Little Red Truck,” which chronicles Missoula’s whirlwind production of a full-scale musical in just six days. The company also has a permanent home in Montana, where kids and teens take classes, attend camps, and perform in community productions. This North Carolina studio offers workshops, coaching, and tuition-based productions year-round. Children’s Theater in the Park offers children a chance to learn and perform in a stress-free environment, rehearsing for eight–10 weeks and performing at the Wrightsville Beach Amphitheater. The Riverdale Children’s Theatre brings together children from many different religious, ethnic, and socio-economic backgrounds to perform several full-scale musicals each year. Drawing from New York City’s theatrical talent pool, Riverdale brings experienced professionals into the community as directors, choreographers, and designers. Tuition-based performance opportunities include large-scale productions on the Lehman College campus, smaller “Spotlight” productions tailored to specific age ranges, and “Footlight” productions that unite teen and adult performers. Formerly known as the Children’s Theatre of Arlington, this theater “by kids for kids” was founded in 1967 to serve children in the Washington, D.C. area. The company engages hundreds of children each year, onstage and off; in addition to offering performance opportunities, classes, and summer programs, Encore employs young people behind the scenes to bring its productions to life. The 2015 season includes the hits “Cinderella,” “The Three Musketeers” and “Shrek,” all starring children under 18. This West Virginia community children’s theater was founded way back in 1932 by local school teacher Sara Spencer, incorporated in 1945, and named the “Official West Virginia Children’s Theatre” in 1961. Performances of shows like “The Lion the Witch and the Wardrobe” incorporate children and adults, and are performed for the general public and school groups, bringing “the total theatre experience” to the greater Charleston community.